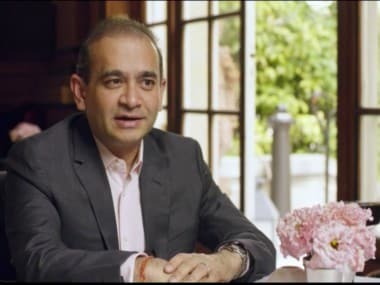 Nirav Modi, the main accused in the $2 billion PNB scam case, has been arrested in London, Scotland Yard said on Wednesday, in a major boost to India's efforts to bring back the fugitive diamantaire. Punjab National Bank (PNB) files police complaint against jewellers Nirav Modi, Mehul Choksi and others, saying they had colluded with two of its staff to defraud the bank of Rs 281 crore ($43.16 million). Central Bureau of Investigation (CBI) says it has launched a probe into the alleged scam. Bank tells stock exchange it is still investigating the extent of the fraud. PNB discloses the amount involved in the fraud as $1.77 billion, adds other banks overseas advanced money to jewellers based on the fraudulent guarantees issued by its staff. PNB Chief Executive Sunil Mehta holds news conference, says working with law enforcement agencies, regulators, other banks. CBI says Modi, Choksi left India before PNB filed complaint. CBI files case against Choksi’s Gitanjali Group, conducts searches at 20 of the jewellery retailers locations. PNB CEO tells analysts bank putting in place better checks and balances, hopes to recover within six months. Reserve Bank of India says it will take appropriate supervisory action. State-run Union Bank Of India says it has exposure of about $300 million related to the PNB incident, while State Bank of India says its exposure is about $212 million. CBI makes first arrests in the case, two PNB employees and an executive of Nirav Modi’s group detained. State-run UCO Bank says it has about $412 million in exposure to fraudulent transactions carried out at PNB. Enforcement Directorate seizes a cumulative Rs 5,674 crore worth of diamonds, gold and jewellery from Nirav Modi's home and offices. CBI arrests three more PNB executives. PNB shares fall for fifth trading session, wiping off $1.9 billion in market capitalisation. Finance Minister Arun Jaitley slams oversight lapses, without directly referring to PNB case. Reserve Bank of India asks banks to implement measures to strengthen their oversight of the SWIFT interbank messaging platform. 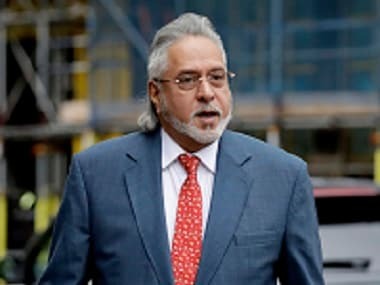 Jeweller Modi’s lawyer denies wrongdoing by client; Modi writes to PNB saying his companies owe much less than the sums reported. Enforcement Directorate (ED) says investigating more than 100 shell companies allegedly used by Modi and Choksi to route funds. CBI arrests three officials from Modi’s group, two from Gitanjali. The external affairs ministry suspend Nirav Modi and his uncle Mehul Choksi's passports for 4 weeks. CBI arrests PNB general manager Rajesh Jindal, who headed the bank’s Brady House branch in Mumbai between August 2009 and May 2011. Jeweller Modi writes to his employees in India saying they should look for other jobs as he would not be able to pay them salaries after the seizure of his assets. ED seizes nine luxury cars belonging to Modi and his firms; freezes shares and mutual funds worth Rs 7.8 crore held by Modi and Rs 86.72 crore held by Choksi. Auditor group Institute of Chartered Accountants of India begins probe into PNB fraud. RBI orders linking of SWIFT system with banks’ core accounting software by 30 April, among other measures, Feb. 20 letter to banks shows. Bollywood star Priyanka Chopra announces cutting ties with Nirav Modi’s brand. Choksi writes an open letter to employees of Gitanjali Gems protesting innocence and telling them to look for other jobs. ED seizes 21 properties including a farmhouse, a solar power plant and land belonging to Modi worth Rs 524 crore. PNB says the amount of fraudulent transactions has gone up by about $204 million to $1.97 billion. Jeweller Modi’s firm Firestar Diamond files for bankruptcy in the United States. CBI arrests former PNB auditor MK Sharma, who was responsible for auditing systems and practices of the bank’s Brady House branch. PNB appoints BDO India as forensic auditor for five group companies belonging to Modi. CBI arrests another former PNB internal auditor, Bishnubrata Mishra, who was responsible for audits at the branch between 2011 and 2015. 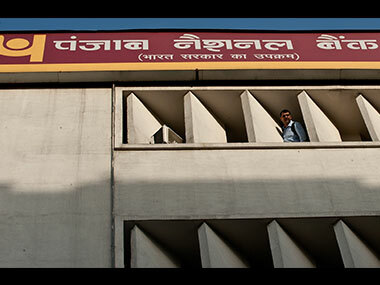 Authorities say gold and diamond bribes given to one PNB staffer named in fraud. State-run lender Allahabad Bank says its exposure to the fraud is about $367 million. CBI makes four more arrests - two former employees of Modi’s Firestar International, an auditor of Modi’s group and a former director of one of Choksi’s companies. CBI arrests a vice president of Gitanjali group. Serious Fraud Investigation Office (SFIO) meets executives from Axis Bank, ICICI Bank over Modi, Choksi exposure. PNB CEO Sunil Mehta meets SFIO officials in Mumbai. Choksi accuses investigating agencies of gross abuse of due process in ongoing probe. Interpol issues Red Corner Notice against Nirav Modi. The UK has confirmed to the CBI that fugitive billionaire Nirav Modi is in their country. Interpol issues red-corner notice against Nirav Modi's sister Purvi Modi. PNB fraud accused Nirav Modi's seaside bungalow in Alibaug (in Maharashtra) demolished using explosives. UK Telegraph reporter tracked the Nirav Modi down to a three-bedroom flat occupying half of a floor of the landmark Centre Point tower block in London. Nirav Modi’s extradition request sent to court by UK home secretary Sajid Javid. A special court in Mumbai issued a non-bailable warrant (NBW) against Ami Modi, the wife of fugitive diamantaire Nirav Modi. 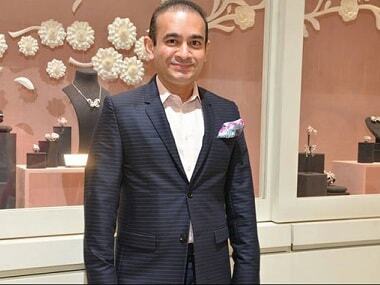 London court issues arrest warrant against diamantaire Nirav Modi based on ED's request for extradition. 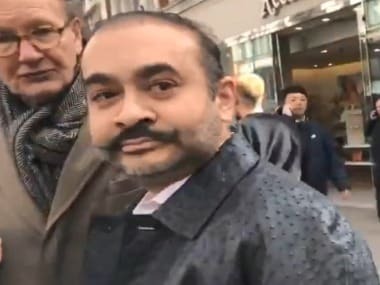 Nirav Modi, the main accused in the $2 billion PNB scam case, arrested by Scotland Yard in London. The Westminster Magistrates' Court remands him in custody till 29 March. The court rejected his bail application.